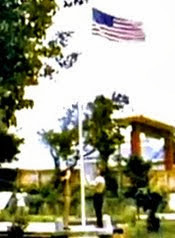 I've written several pieces about the withdrawal of US Forces from Taiwan that ended with the final flag retreat ceremony at the US Taiwan Defense Command on April 26, 1979. 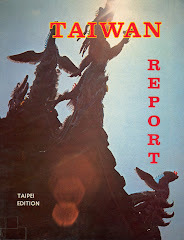 But a gradual downsizing had been underway well before the President James Earl Carter's speech on December 15, 1978, announcing the complete withdrawal from Taiwan of all US forces. Taipei, Taiwan (UPI) -- At a corner table of the American Officers' Club lounge two American military officers in civvies sipped Saturday afternoon beers. Across the otherwise empty room sat four civilians, complaining about the slow service. Empty seats lined the black, L-shaped bar. In the middle of the bar a large white sign gave mute testimony to the dwindling military presence in Taiwan: "Waitress Service Only." Only one waitress at that. And at prime drinking time and at what was once one of the busiest American military clubs in Asia. 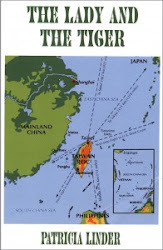 "The number of military personnel on Taiwan is way down," a Navy officer said. "It's down to 2,100 now, down from a peak of 9,000 in 1972. And it's still going down." Only about 50 people are left in a Military Assistance Advisory Group that once numbered more than 2,000. The Taiwan Defense Command staff has been cut from more than 200 three years ago to about 80. More cuts are ahead. About half of the U.S. military personnel remaining on the Nationalist Chinese Island are Air Force. But there are no more combat planes around. 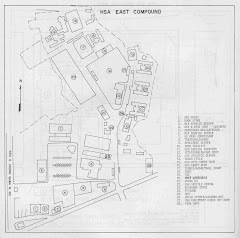 The largest single American military unit on the island is a 400-member army communications command. Along Chung Shan Road, which runs from the magnificent Chinese-style Grand Hotel and through a burgeoning business district of new high-rise office buildings and hotels, there are many faded signs of a fading era. The San Francisco Tailor shop ("We make regulation uniforms") is closed. The pitch to GIs painted on the front of an antiques and art shop is painted over. The come-on message is now in Japanese. The girls at the Butterfly Bar still speak GI slang, but now they cater to tourists. 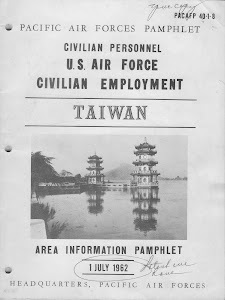 Government officials and businessmen are not so concerned about the dwindling number of American military personnel as they are about the continued presence of at least a token force and the continuation of the U.S.-Republic of China Mutual Defense Treaty. "Of course we are very much concerned about what might happen," a government official said. Our biggest worry is that the United States will break relations with us, abrogate our defense treaty and establish full relations with the Communist regime on the mainland." If young people are as worried about the future of Sino-American relations as their elders, it doesn't readily show. Their concern is with more mundane matters. At a new YMCA building, just behind the Taipei Hilton Hotel, a bright young American, Greg Zurowski, sits in the coffee shop with a group of Chinese teen-agers for an informal evening English class. What are Taiwan's young people thinking about? What are their problems, their concerns, their complaints, their desires? "School" is the reply, almost in unison. "The competition is so keen and the opportunities so few," one student explains. "Western culture is overwhelming us," one student says. "We need a return to more traditional culture." That's just what the government has been saying in one of its campaigns. But he and the others admit they prefer many aspects of Western culture, expecially movies, music and lifestyle. "Industrialization is the problem," one young man says. It is forcing Western culture on us. He and his friends beside him are studying chemical engineering, a profession not only involved in the industrialization process he complains about but also the highest paid profession in Taiwan. Concerned about the vast amount of money spent on religious festivals and temples -- there are more than 7,000 temples in Taiwan and more than 300 gods who rate important festivals -- authorities instructed teachers to ask students to try to dissuade their parents from participating. This did not seem to be working very well. There was a bit more to the article, but part of the text was illegible in the on-line copy. 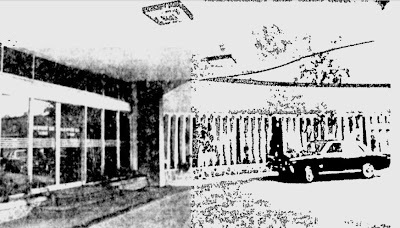 Only seven hours before the annoucement, President Chiang Ching-Kuo was roused from bed on Dec 16(TW time) 1978 in order to receive at his residence at 2:30a.m. U.S. Ambassador Leonard Unger, who informed him the decision of Jimmy Carter. I've mentioned the December 15th date several times here on the blog, but wrote it as Christmas Eve in this article for some reason. I made the correction. Thanks for keeping me from rewriting history! I was not aware that TDC was down to 80 personal in 76. 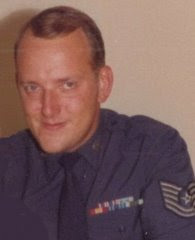 Yoday I was talking to an Army friend and we talked about the Jan-Apr 79 time period and how things had changed. Many facilities were closed, etc. I wouls be interested if anyone had some good stories about their time as our time in Taiwan came to a close. 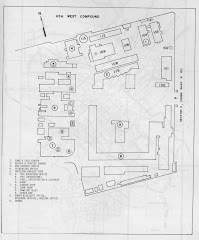 According to their website (http://shulinkou.tripod.com/Dawg1.html), the 6987th closed its doors on 1 Apr 1977. I don't know what their assigned strength was a year earlier.